How do you keep prospects focused on value? Talking about price is a natural part of the sales process. However, when that is all your customer wants to talk about, you are cut off from having a discussion about value. If you think the best way to win the deal is by discounting your solution, think again. 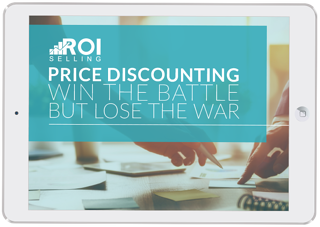 Learn how to stay away from the dangerous discounting game and instead turn the conversation towards the customer’s problem and the value of solving it.